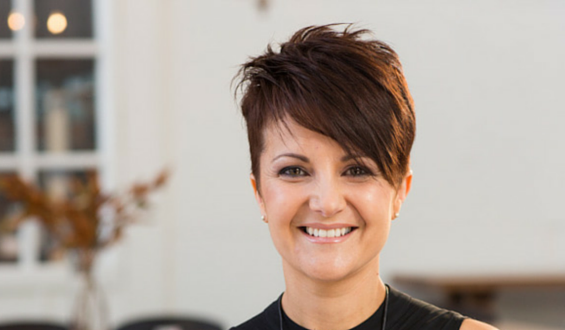 Fiona Craig is a Life Balance Coach and the founder of True Balance Coaching. Fiona helps women become better at juggling career and family through her Back To Balance 6 week transformational life coaching program and is a business mentor for women who want to start a home business for a better work-life balance. Fiona mentors wellness practitioners for Wellness Hubs Australia and gives lectures on harnessing the power of LinkedIn. Fiona has been featured in the Australian Women’s Weekly, The News Daily and other online websites where she guest blogs. Fiona is writing her first book, Stuck In A Rut: How To Rescue Yourself & Live Your Truth out in 2015. True Balance Coaching offers women a range of life and business coaching packages from Bondi Junction, Sydney. Fiona uses a blend of psychotherapy with coaching techniques to help women discover their authentic self and create a life balance that resonates with their core beliefs, values and life goals. Fiona has created self discovery, time management, goal, career visioning, self care workbooks to accompany her face to face or Skype sessions, as well as using coaching tools, questionnaires, role playing, visioning and guided imagery. What’s the story behind your business? I had worked for a number of years as a counsellor in mental health and drug & alcohol but I always felt like a phoney because I didn’t have these life experiences. I wanted to work with women that were like myself, and sometimes me ten years ago that returned to the workforce and struggled to meet the needs of the family, their employer and their own needs. At sixteen, I spent the winter school holidays working in Chatswood for a discount pharmacy. When you decided to start your own business, what was your big “why”? I love helping women let go of their stress, worry and guilt through awareness of how their beliefs about themselves and rules they live by are keeping them stuck. I find women disempower themselves through internalising and blaming themselves. I help women to look more to what internal and external support resources are either underused or simply missing, to help reframe their experience. For example when clients say, “I’m a failure as a mother because I can’t get the kids to school on time”, I investigate why she’s chosen to internalise it i.e. making it about herself and take the blame. Failure had NOTHING to do with her, but more about CREATING a system or morning routine, which the kids could follow to get them out the door by 8.10am. I work with my clients to find their own true balance and create the life THEY want to live. What have you had to give up? A social life and some privacy but never coffee. Your proudest achievement to date? I’m currently working with a client that has a low sense of self and self-worth. It was during the session that I got a sense that her self-esteem had been crushed by her narcissistic mother. Getting “back to balance” is working through her trauma and building confidence in career transition through self love and refuting her inner critic. What are some of the most exciting projects you’ve worked on? Over the past five years I have been supporting the building of the Samadhi Grove pre school in Sri Lanka. It started when my Buddhist nun and good friend Sister Susila Scott was helping a community devastated by the 2006 tsunami. The villagers were relocated and I sent sewing machines for the women to makes clothes to sell and buy food for their families. What would you tell your younger self not to do? Not to say “yes” all the time. You will still be loved and liked if you say no. One word “reciprocity”. When you give and ask nothing in return, you get ten fold back. I’m looking forward to publishing my first book available in winter 2015, and building more alliances with coaches and small business owners.